As you may remember, we’d ended up having going on a relaxing cruise and I was worried something dramatic would happen. It was a lovely cruise and we had a great time. I dragged myself to the door and opened it a crack. I peered through and, to my befuddlement, saw a dog sitting on the doorstep. I opened the door and the shaggy beast barrelled past. The three little monkeys raced as fast as their hairy little monkey paws could carry them, into the thick jungle and up to the top of the nearest tree. They didn’t stop until they got to the very top, and there was nothing above them but the sun and the sky. Sarikin Bakka, way below on the jungle floor, yawned and closed his eyes. Three little monkeys were nothing to him. ”Ook?” asked Samala, peering down to the jungle floor. ”Ook,” confirmed Kawanga, stretching and leaning back against the tree. They stayed there for most of the afternoon, basking in the glorious sunshine and occasionally swatting at an errant fly or, more often than not, one another. When they felt safe, they slowly made their way across the trees, being careful to make as little noise as possible in case the great tiger should hear them. It didn’t take them long to become tired and, what with the sun going down, they thought that perhaps it was time for bed. “Ook?” asked Samala, hoping one of this friends would tell him a story. “Ook,” Kawanga said firmly, and Samala turned away. He would get no story on this night. It was time for bed, and the three little monkeys knew had become tired after their busy day. The Hopeless Waterful, and the legendary Cave of Dreams, would have to wait until morning. One bright, sunny jungle day, three little monkeys were chatting away in a tree. “Ook,” said the first, who was called Nimbala. “Ook?” asked the second, who was called Kawanga. “Ook!” the third, named Samala, said excitedly. They excitedly jumped around, chasing one another, as they decided what to do about the scheme Kawanga had suggested. “Ook ook?” Samala asked, pointing towards the Cave of Dreams. The Cave of Dreams was situated on the far side of the jungle, past the tiger’s lair, and towards the Hopeless Waterfall. “Ook.” Samala confirmed and, with a nod from Kawanga, they galloped off into the dense foliage. An hour or two later (with several stops for banana eating and butterfly chasing) the three little monkeys cautiously approached the tiger’s lair. The tiger, Sarikin Bakka, was sleeping outside his cave. The sun was bright and causing patterns to dance through the leaves as the wind blew, making the ground seem as if it were moving. The three little monkeys were nervous. With all three monkeys agreed, they began to quietly crawl across the clearing and past the sleeping tiger. Three small and simple words that had never meant more to him than they did at this moment. He looked into her eyes, pleading with everything he had within him, yet she simply stared at him. She remained silent, slowly shaking her head from side to side. Still, nothing. She didn’t even look at him. She stepped back then, two quick paces, fear and confusion in her eyes. He sat, cross legged, and wiped away his tears as she started to turn away. She paused, looking at him sideways, lost in thought. Planting her feet firmly on the ground, she turned her head away. She turned her head away, her eyes raised to the sky. Bowing her head, she remained silent. She merely blinked at him. He turned his back on her and sighed. Again, nothing but silence, heavy with anticipation. 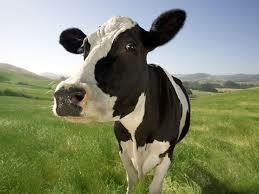 “You’re such a cow…” he muttered as he walked away, closing the gate behind him.